Six tips to enjoy the "Sapporo Snow Festival"
A famous Japanese winter event, the Sapporo Snow Festival! Every February, people from all over Japan and, lately, all over the world gather in Sapporo. Where should we go to see the sights? How do we get there? Where are the main grounds? Where are convenient places to stay? You may have many questions like these. 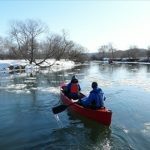 A professional from a Japanese tourism company that has planned Hokkaido tours for many years is here to answer your questions! 1. What is the Sapporo Snow Festival? 6. Places to Enjoy Alongside the Sapporo Snow Festival! 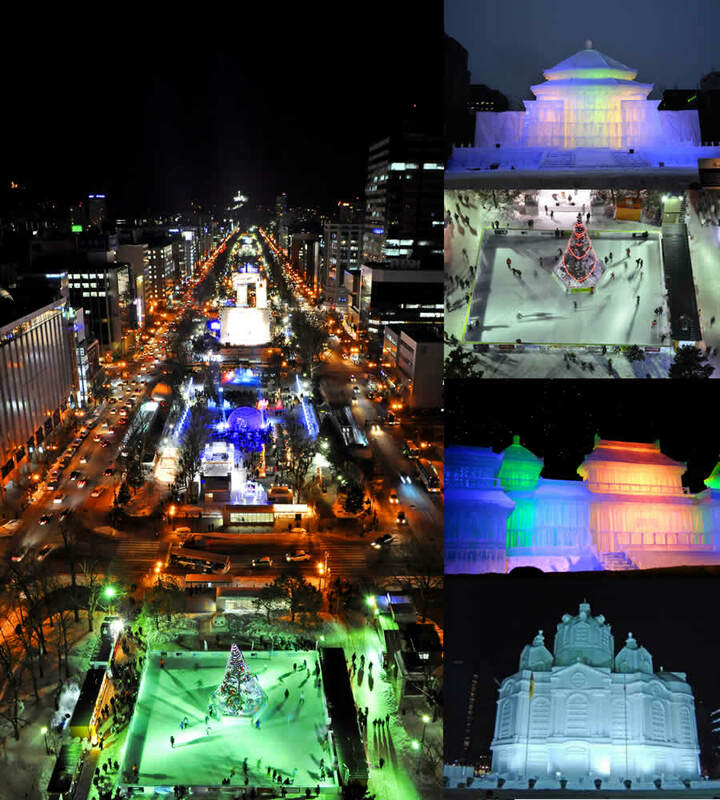 What is the Sapporo Snow Festival? ・Its official Japanese name is 『さっぽろ雪まつり』. In English it is called the Sapporo Snow Festival. ・ It is held from Friday, February 5 to Thursday, February 11. (This year is the 67th Sapporo Snow Festival). The festival is held in the same general period every year, but the the days can change. * In 2016, only one out the many halls, the Sapporo Community Dome (Tsudome) will have its period extended. It is open from Friday, February 5 to Thursday, February 18. ・Approximately 2.35 million visitors in 7 days (2015 numbers)! ・The event is held in the downtown area of Hokkaido’s prefectural capital, Sapporo. There are three main halls: the Odori Hall, the Susuki Hall and the Tsudome Hall. 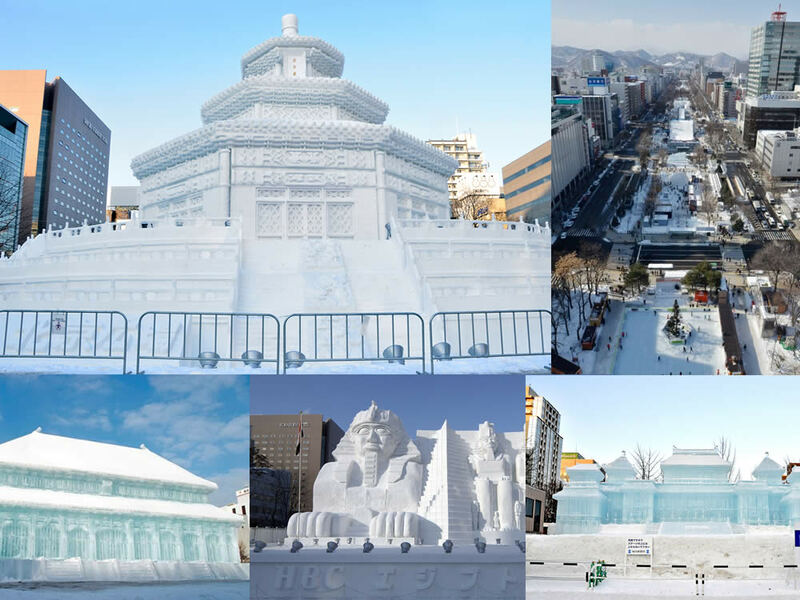 ・The main sights of the Sapporo Snow Festival are the countless beautiful giant snow sculptures. At night, they are lit up and color the city! [2-1] Enjoy Magnificent Snow Sculptures! 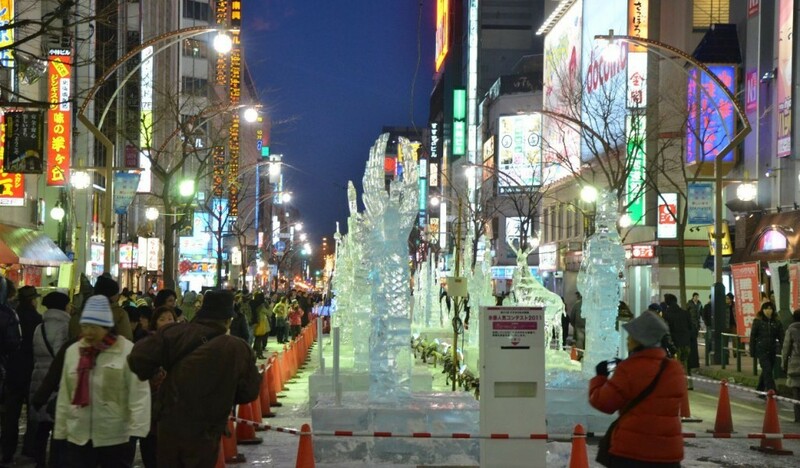 Sapporo Snow Festival is all about the snow and ice sculptures! Across the 3 event halls, around 200 sculptures can be seen in the city (198 in 2014). But what sculptures what should you see with limited time? We will teach you the trick to seeing all the must-see sculptures! The festival’s leading role is the giant snow sculpture. It has a height of 15m and uses enough snow to fill 500 trucks that can carry 5 tons each. To start off, enjoy it under blue afternoon skies! You will be able to see its magnificence down to the finest of details. It is located in the Odori Hall. [2-1-2] Who makes the giant snow sculpture? The Citizen’s Work Group makes the giant snow sculpture. The 11th brigade of the Ground Defense Force based in Hokkaido also help. The self-defense force has been participating since the 6th snow festival, which was held in 1955. The first sculpture built was a 11m high statue of Maria built in Odori Park. Since then, The self-defense force has played a central role in producing the giant sculpture, a key icon of the festival. In Japan, the self-defense force is usually a bit estranged from the citizens. The festival allows them to take a central role in preparation for the great event. This is another reason the festival is so loved by the citizens. Get Excited With the Evening Sculpture Light-Up! After you have seen your full of the daytime sculptures, next up is the evening light-up! There are 3 must-see locations during the evening light-up festival. 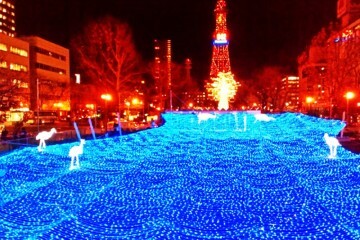 The Sapporo TV Tower is a symbol of Sapporo and Odori Park. From here, you can look out west for a sweeping view of all the event halls at once! With a skate rink located directly below, countless snow sculptures continuing into the distance, and roadside illumination, it is one of the greatest views the Sapporo Snow Festival has to offer. *As of February, the birthdays for high, middle and elementary school students are as follows. Projection mapping reflects images off of the lit-up snow sculptures. Make sure you do not miss these beautiful lights and snow images rising up on the white snow sculptures! On the first occasion in 2013, this event has was so popular that a portion had to be canceled due to overcrowding. In 2014, number of locations was increased to 3. Susukino is Hokkaido’s largest pleasure district. Located here is the third event hall. Named the “ice festival,” ice sculptures of all sizes line the central area of the district. The best sights can be seen at night! The largest-scale neon quarter in Hokkaido reflects its lights off of the transparent sculptures. Enjoy mystical and beautiful sights. Also, with strange sights like crabs crafted with ice, enjoy a pleasant, cold evening surrounded by these unique sculptures. Right in the middle of the Odori Hall, on 6 Chome street, the “Hokkaido ★ Food Plaza” opens! 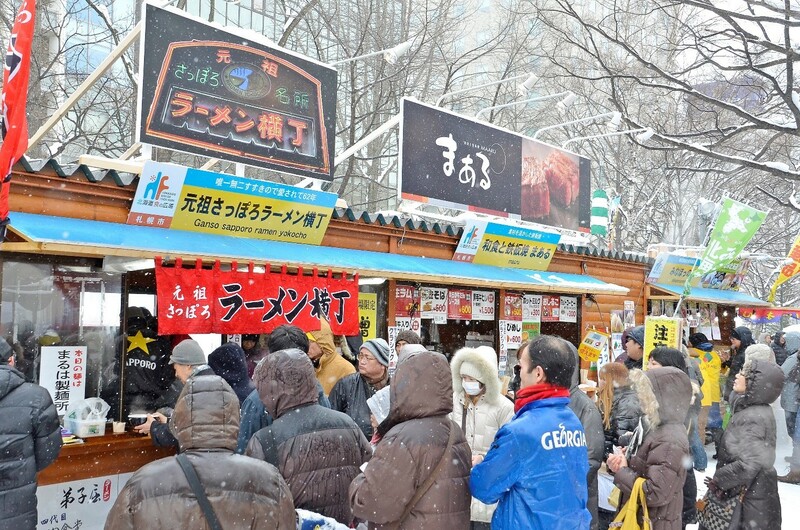 Local delicacies gathered from all over Hokkaido line up in rows of food stalls. Below are some examples of past menus. “Seaside Mother’s Sea Urchin Rice,” a yearly favorite. Hokkaido’s soul food, “Zangi” chicken karaage that uses a special, thick soy sauce based sauce. Also, at 11-Chome where the international snow sculpture contest will be held is the “International Exchange With Food” corner! Food stalls offering food from all over the world will be there, so check it out! The giant sculptures that took around a month of detailed work to make are mercilessly destroyed by shovel cars the following morning! In an instant, the majestic sculptures turn into mountains of snow. Th event is extremely popular. As the demolition is mostly finished by noon, be careful not to oversleep and miss this! If you want to set up your travel plans to include this snow sculpture demolition, we recommend that you arrive in Sapporo on the last day of the festival. Enjoy the festival until the evening, they delight at the destruction the following morning. 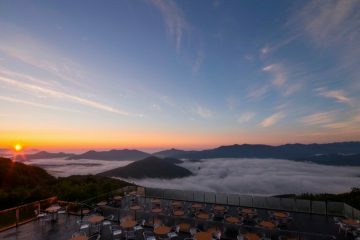 In the afternoon you can visit nearby sights such as Otaru, or the Noboribetsu and Jozankei Hot Springs and stay the night. 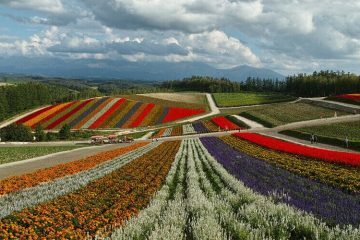 Afterwards, you can head home or further explore the various cities of Hokkaido. 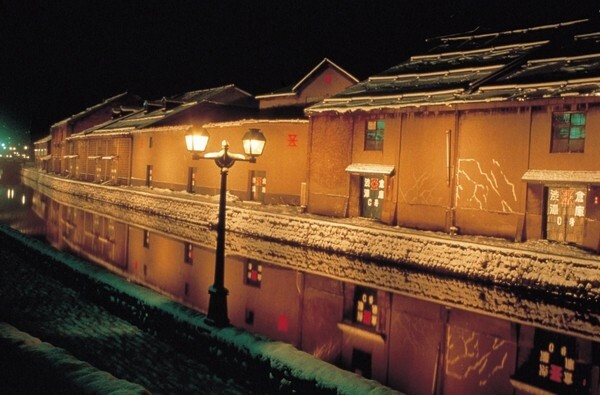 When traveling during the snow festival period, lodging in the city can get expensive. By starting your trip on the last day, you can enjoy the festival at a low cost! *Some sculptures may start to melt in warmer winters…on the last day, there may be fewer sculptures to see. [2-4-2] Play in the Snow at the Tsudome Hall! For those of you from regions without snow, head out to the Tsudome Hall. The main attraction here is playing in the snow! Enjoy ice slides, snow mobiles and other attractions to your hearts content! It is especially recommended for families bringing children. Also, it closes early at around 5 PM. A snow sculpture of the famous virtual singer Hatsune Miku will appear and there will be a mini show with her songs and illuminations. The popular event has been running for 5 continuous years since 2010. [Point] Weekday mornings are the least crowded! Evenings are packed! Especially crowded are the following festival days. Weekday mornings are the least crowded. Evenings are always packed, even on weekdays. Make sure you arrive with plenty of time to spare if you want to see a particular event. During the festival period, the sun sets a bit past 4 PM. The light-up can be enjoyed from around 5 PM. We recommend you enjoy the festival in the afternoon and evening, and leave the crowded areas to enjoy dinner someplace else. 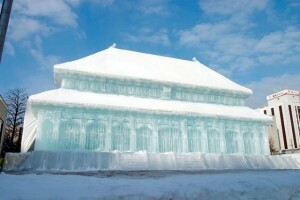 [Point] Winter in Hokkaido is Really Cold! Because you will often be outdoors for long periods of time, make sure you protect your body from the top of your head to the tips of your toes. When I went previously, I wore a down jacket with a hood and 4 layers under it. For shoes, I wore ones used for trekking. If you don’t have clothes with a hood, make sure you protect your ears with something like earmuffs! Your ears will freeze. Also, if you drink too many warm beverages, you will be forced to wait in long, crowded toilet lines, so be careful. [Point] Anti-Slipping Measures are a Must!! Watch your feet in the Sapporo winter! Asphalt with hard ice stuck to it is especially slippery! Even locals used to roads will slip, so beginners to Sapporo’s winter should take precautions. Evenings are even more slippery than the daytime. These convenient bands allow you to stop yourself from slipping by wrapping your shoes in them. There are plenty effective if you are only sightseeing for a few days. [Point] Get around using the subway! Avoid cars. For traveling to Sapporo Station and among the event halls, the subway system is the most convenient! For example, after arriving at Sapporo Station from Shin-Chitose Airport, the station for the main hall of Odori Park, Odori Station, is only 1 subway stop, or 2 minutes away! Below are access information using Odori as a base. Also, take note of the following for each of the event halls. If you are looking to get to Nishi 11 Chome of the Odori Hall, your best bet is to take the subway (1 station from Odori). The closest station to the Tsudome Hall, Sakae Station, is about 15 minutes by foot away. A shuttle bus runs to the hall. Also, there are buses and run between Tsudome and Sapporo Station, Odori and Susukino. Subways also connect the Sapporo, Odori and Susukino stations, but you can walk as well..
Each of them are only about 10 minutes apart from one another, so feel free to walk if you are not tired. Another good point about subways is that they are warm. *Because of extreme crowding, it is not recommended that you use a rental car to approach the area. Pay attention to the following when making reservations for the Sapporo Snow Festival! 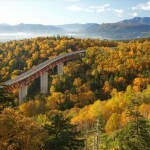 If possible, make reservation in early August when big tour companies start accepting reservations. After this, hotels will continue to fill up. By winter, they are fully booked. Cost saving tip…make sure your arrival day or final day is not in the festival period. [Point] The spot to target is the Nakajima Park area! It is especially convenient by subway. If a travel company with a certain degree of experience receives a request for a “hotel convenient for the snow festival,” they will likely reply in the following manner. Most certain to be convenient are the Sapporo, Odori and Susukino stations. This area is also the central area of Sapporo, and it includes many hotels. Unfortunately, during the festival the rooms are booked full even on weekdays. Prices can be over 3 times what they are during the off-period. For slightly cheaper options, look north of Sapporo Station or south of Susukino station. However, these locations are a bit far from Odori Park and should be avoided if you are focusing on location. Incidentally, we often hear, “We want to see the snow festival from our hotel!” But few hotels face Odori Park. Among them, I recommend the 2 following. This city hotel can support a variety of guests, with room types ranging from singles to rooms that can fit a maximum of 4. For breakfast a buffet and Japanese style food is included, and the inside of the hotel is quite elaborate. The wide atrium in particular is luxuriant and beautiful. 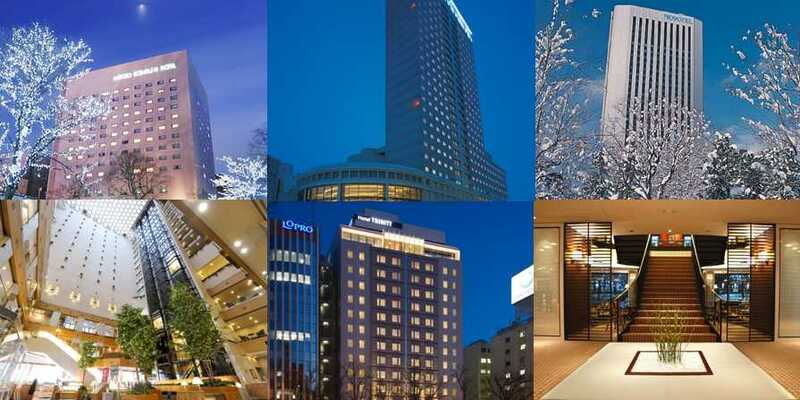 This ultra-convenient hotel is a mere 1 minute walk from Odori Station. The top floor even has a giant public bath. The Nakajima Park area is 2 subway stops from Odori Station. The area around the green and beautiful Nakajima Park is filled with hotels, ranging from foreign city hotels to reasonably-priced business hotels. Semi doubles, double rooms and triple rooms all come in at relatively good prices. A foreign hotel that towers over Nakajima Park. It is quite fashionable, perhaps because it was built by a French company. However, the price is also quite high, so it is most recommended for guests looking to enjoy a luxurious stay. This hotel has a open bath with a natural hot spring – a rarity in Sapporo. The rooms come is many variations, from reasonable semi doubles to rooms that can fit many people. 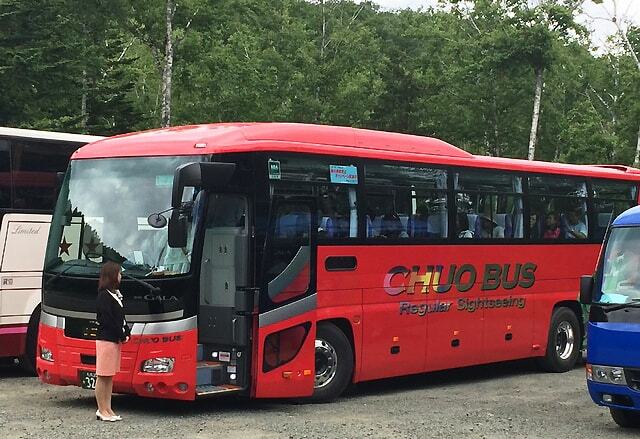 A shuttle bus runs to the Rusutsu Resort, which belongs to the hotel group. It is popular with guests looking to enjoy both the festival and skiing. Although distance-wise they are a bit farther from the event halls, access to Odori Park is easy via subway. Just a little far away (but still within 20 minutes) are places with rooms still open even as the event date draws near. This hotel is located near Horohira-Bashi Station, which lies one station south of Nakajima-Koen Station. The fashionable hotel uses undressed concrete. In particular, the breakfast here is famous. It values health, balance, freshness, and focuses on Hokkaido-like foods, making it a great hit. Standing near the Shin-Sapporo Station, which lies in the direction of Chitose Airport, this ultra large scale hotel boasts 32 floors and 511 rooms. Although it is away from the main hall, Odori is only 1 subway stop away. Even when counting the time to walk from the hotel to the station, you can get to the festival in a convenient 30 minutes. 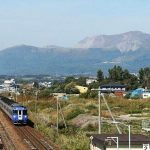 When Sapporo’s hotels are all full, a solution can be to find rooms in sightseeing locales near Sapporo. It is not as if you will be attending the festival on multiple days, and the prices are a bargain too. From Sapporo Station, 32 minutes by JR express. 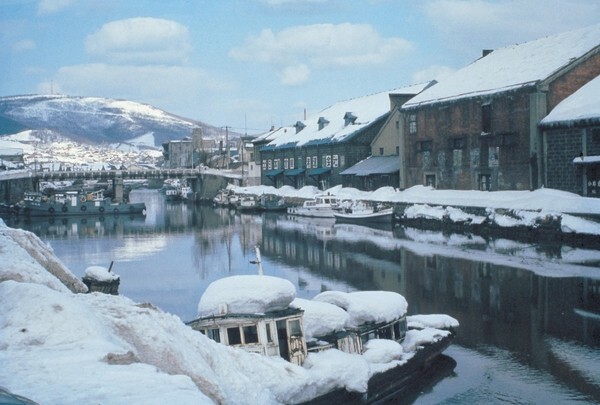 Many choose Otaru as a place to enjoy Sapporo and sightseeing as a set. 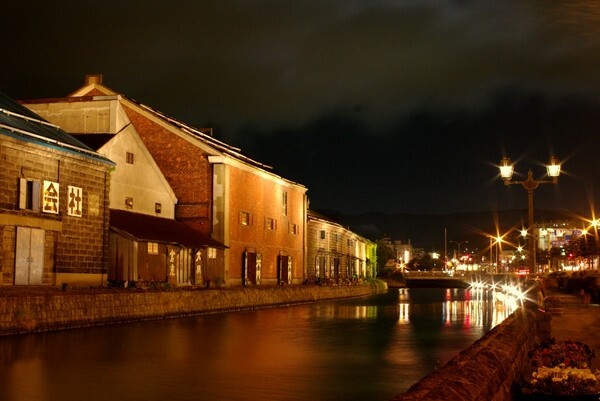 With the Otaru Canals, the Music Box Museum, Sushi and other sights, the spot is famous as a place where you can enjoy sights, shopping and food in one location. Even better, during the same 2/5 to 2/14 period of 2016, Otaru is holding the Otaru Snow Light Path Festival, so you can enjoy both! About 1 hour by car or bus from Sapporo Station. 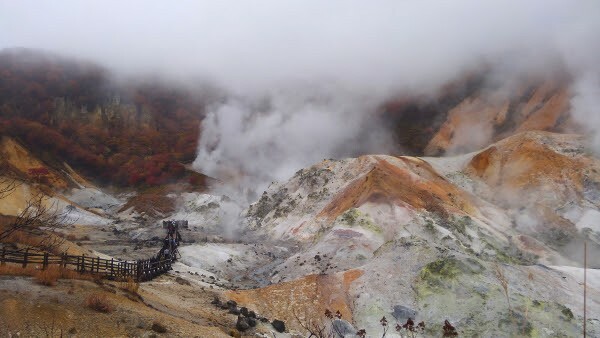 Here is the place to enjoy hot springs in a place near Sapporo. Many hotels even offer free shuttles to and from Sapporo. However, nighttime transportation is typically not offered, so your best bet is to enjoy the festival in the daytime and enjoy the hot springs at night. 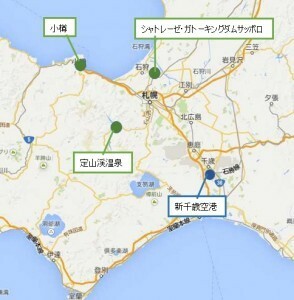 Also consider other areas in the Sapporo outskirts and the Chitose area when hotels are filled up. 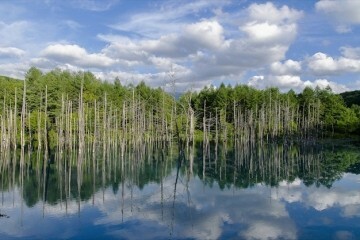 Approximately 45 minutes by shuttle bus from Sapporo Station. This resort hotel is operated by “Gateaux,” which is famous for its confectionary. 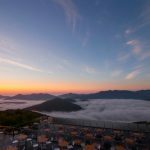 Places to Enjoy Alongside the Sapporo Snow Festival! 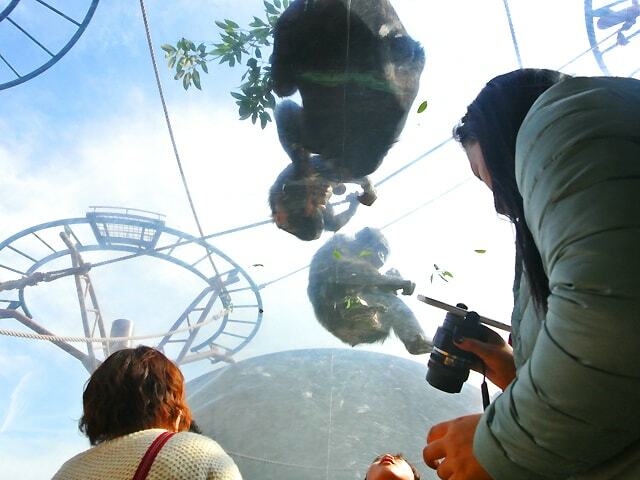 Although perhaps a bit far for a Hokkaido trip with children, the Asahiyama Zoo is a popular attraction. A day trip bus tour allows you to enjoy the Asahiyama Zoo from morning to evening, return to your hotel at night, and head off to see the snow festival’s light-up! Located approximately 15 minutes by car from Chitose Airport, famed golf course “The North Country Golf Club” becomes a winter wonderland! There are a huge selection of snow country attractions, from tube sledding and walking skis, to snow top horseback riding, mini snowmobiles, and snow rafting. Great for those who want their kids to play all out in the snow. About 35 minutes from Sapporo station by JR express. 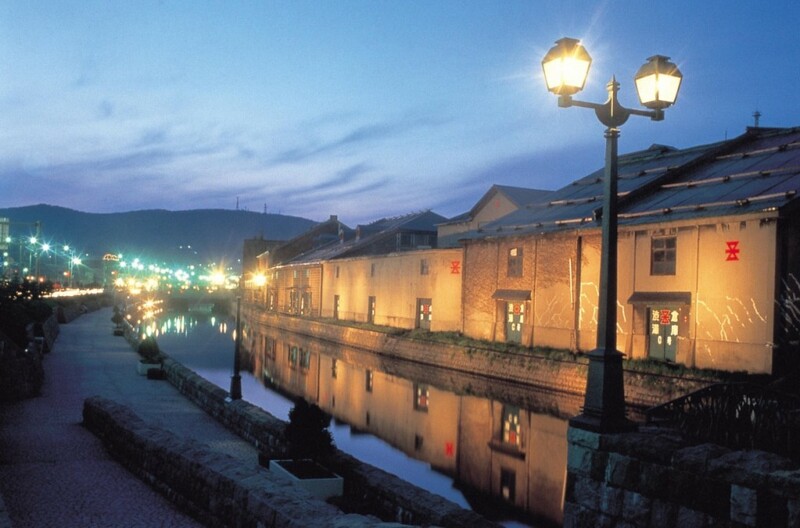 A canal city filled with history, Otaru is a famous sightseeing spot in Hokkaido. Beginning with the “Wall Street of the North,” the Otaru Storehouse, Taishou Glass Palace, Kitaichi Glass, the Yujiro Ishihara Memorial and other sightseeing spots. 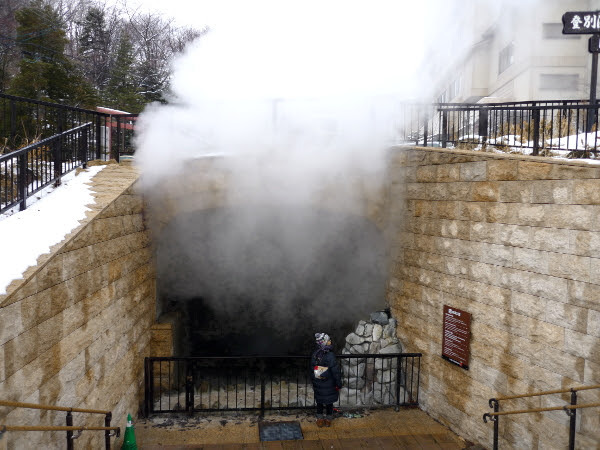 About 1 hour from the Sapporo city limits are the Jozanke Hot Springs, also known as the “inner parlor” of Sapporo. 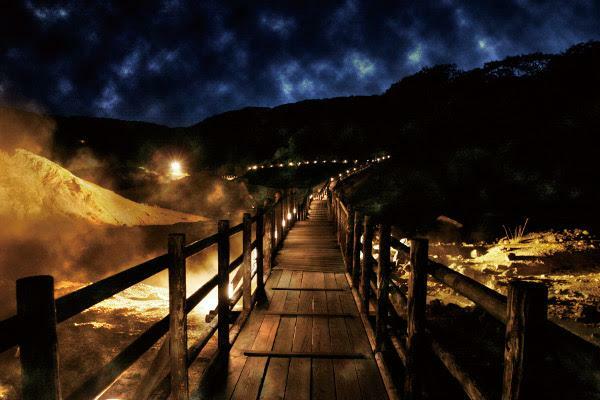 Lined with guesthouses of all sizes, it is one of the prominent hot springs in Hokkaido. About 100 minutes from the Sapporo city limits is this famous hot springs known for its bubbling hot springs of 9 varieties. 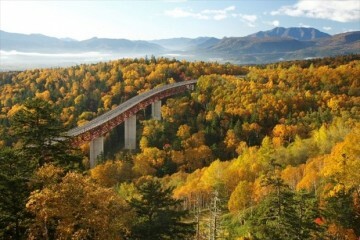 In addition to lodging, the area has many sights such as the the picturesque scenery of Jigokudani (Hell Valley), the Noboribetsu Bear Park and the Noboribetsu Marine Park (Aquarium). Above, we introduced you to the sights and attractions of the Sapporo Snow Festival. Winter in Hokkaido is really cold, but there are tons of things to enjoy. Your positive moments and emotions will bring you above the cold! We hope you can enjoy Hokkaido along with the snow festival!